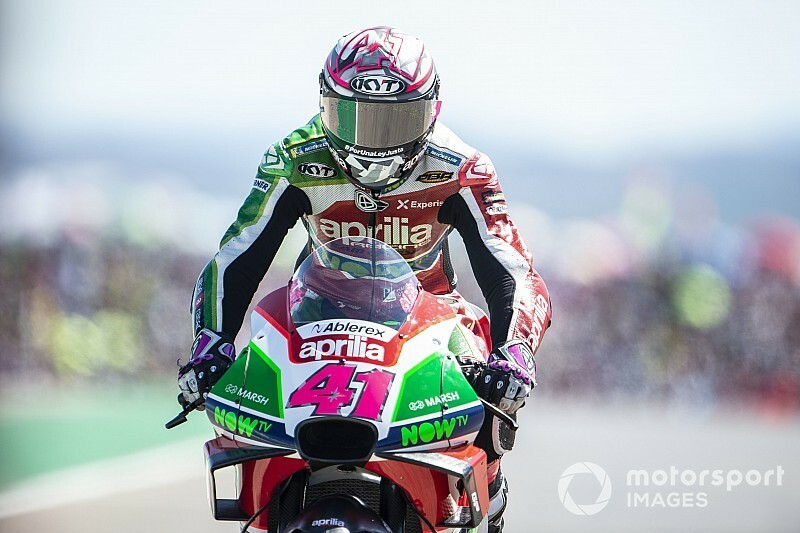 Aleix Espargaro says his Aprilia MotoGP team is “clever enough” not to be fooled by his surprise sixth-place finish in the Aragon Grand Prix. Espargaro and Aprilia have endured a tough year, and after placing 13th on the Aragon grid the Spaniard admitted he wanted the season to be over and done with. But a “super-good start” on Sunday lifted Espargaro up to sixth, and he maintained position to post the best result of Aprilia's season, just nine seconds behind race winner Marc Marquez. 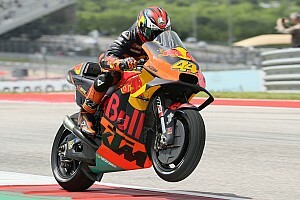 “One of the better days of my career, sincerely,” Espargaro said. 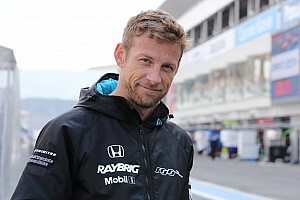 “It's just sixth place, but I'm struggling a lot this year, it's difficult to maintain the happiness, to stay motivated. 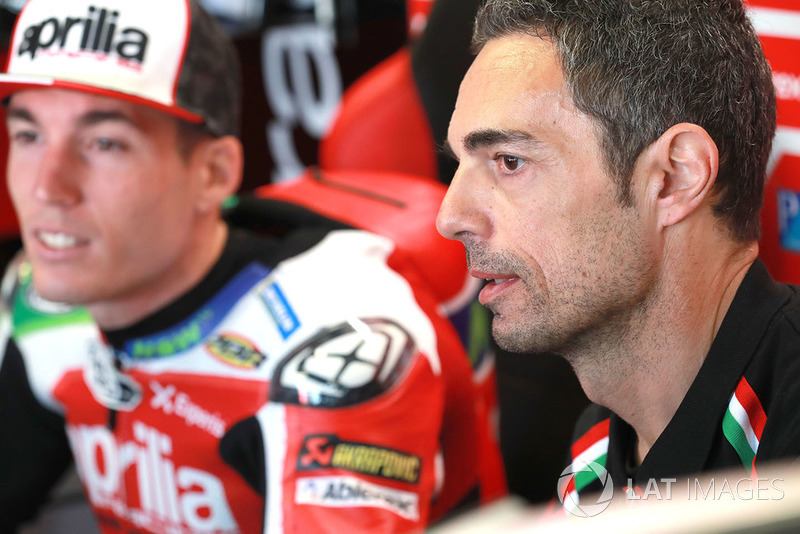 However, Espargaro – who will remain with Aprilia through at least 2020 – stressed the result did not mean that the team has turned a corner. 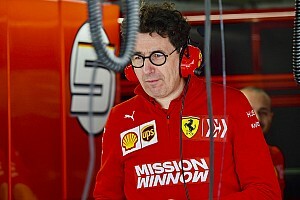 He explained that he and new crew chief Pietro Caprara made significant changes to the bike balance, but insisted the RS-GP has remained largely “the same”. “The bike, sincerely, is not a revolution because it is what it is but I feel a little bit better, I recover a little bit the aggression. “I think the people around me, the Aprilia engineers, are clever enough to know which is the level of the RS-GP. “Many riders rode this bike in the past, and the results are there [for all to see]. The only one who is able to be competitive [is me], and even like this I'm struggling a lot a lot, so they know that we have to change a lot and improve a lot the '19 bike. “But I don't care. I go always full [gas], I always give my 100 percent. I did a super-good race also in Misano, and was just 14th place. Espargaro said he was riding “over the limit” in Aragon to compensate for the time the RS-GP was losing on the straights. “For example, in the last corner after the back straight I brake later than in qualifying, it was every single lap, risking a lot. 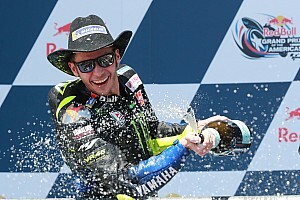 The Spaniard credited Caprara, who replaced Marcus Eschenbacher as Espargaro's crew chief mid-season, with playing a big part in the Aragon result. Earlier in the weekend Espargaro revealed Antonio Jimenez – who currently works with Xavi Vierge in Moto2 – was in advanced talks to take over in the role in 2019, but also said that he is keen to keep Caprara around in some capacity.